Content marketing is an increasingly hot topic these days. More and more people are starting to realize the potent role that high quality content plays in creating visibility for your brand on the Internet. Seth Godin was quotes a few years back as saying "content marketing is the only marketing left". 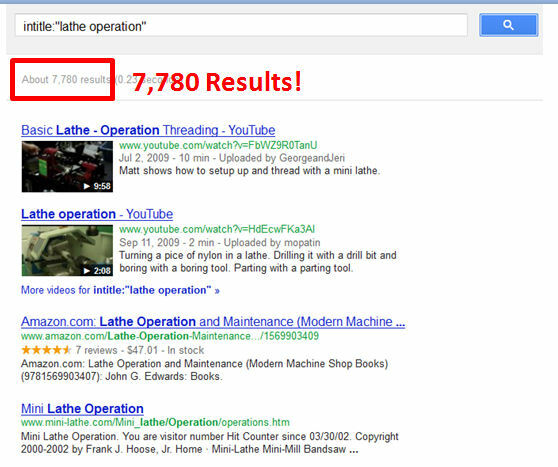 Even this very niche oriented term generates over 7,000 results. Surely the end user only wants to consider a very few options. As I always like to say: "Google only needs 4 results, so how are you going to be one of the 4?" Superior content is one key component of this. But, superior content is not enough. Unless the world gets to know about it your superior content will get you nowhere. You have to have a way to get the word out. This is where "Influencer Marketing" comes into play. 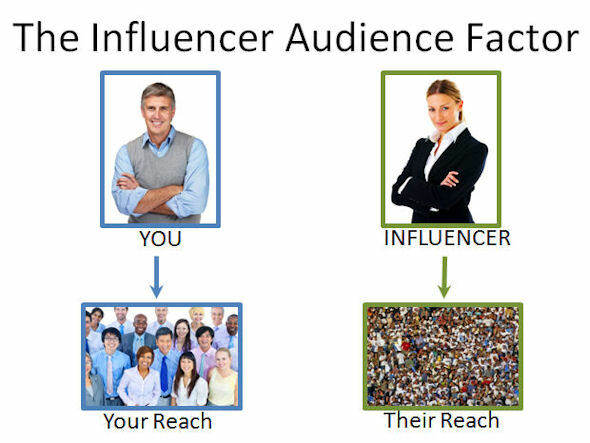 By definition, influencers reach a lot of people (often more than you do), and they have the ability to influence people's opinions. Influencer Marketing is the name we give to the process of developing relationships with influential people that can lead to their assisting you in creating visibility for your product or service. This type of marketing depends on your having something great to offer your potential customers, and the audience of the influencer, and it also depends on your building a great relationship with the influencer as well. They can write a blog post / article about you. They can share information about you in their social media accounts. They can ask you, or permit you, to guest post on their site. Or, any combination of, or all of, the above. However, the benefit is much larger than that. Let's say you had 100 followers in your Twitter account that shared a piece of content, and this results in 20,000 people seeing what they shared. This may result in 20 additional shares and 10 links. Now consider the same audience being reached by one influencer. 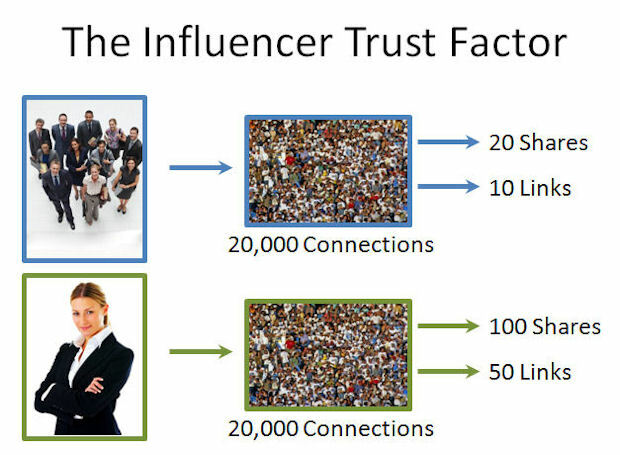 Those 20,000 connections will be much more responsive to the shared content because of the trust they have in the opinions of the influencer, and this much result in 100 additional shares and 50 links. That's a pretty hefty advantage. Further, the search engines actively calculate author authority, so they will also place more weight on the vote of the influencer. Doing this effectively is a great start. 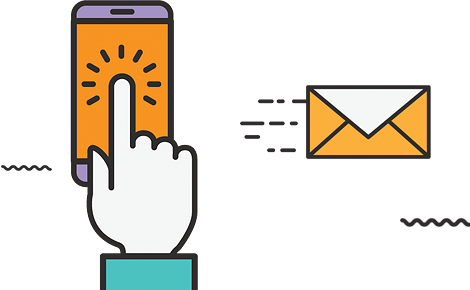 You can grow your audience over time because people who are already connected with you will share your stuff, and this does reach their audiences. Develop relationships with major influencers so they are subscribing to your blog or following/friending/circling you in social media accounts. This is made possible by developing enough of a relationship with the influencer and having a history of creating content of interest to them. 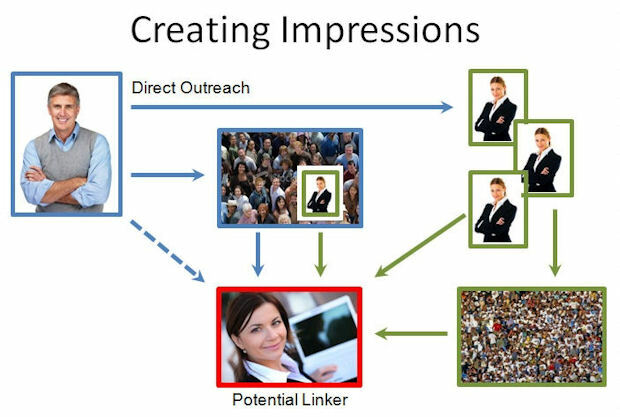 Here the payoff occurs when they choose to link to it or share it on a social network. 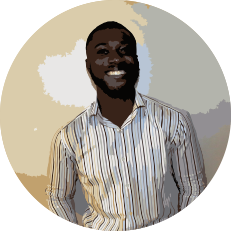 You actively reach out to influencers and get published directly in front of their audiences. One example of this is writing guest posts for them and getting published in their blog. This also depends on having a credible history so they will consider your article. The payoff here is quite direct, and happens as soon as the content publishes. Both of these strategies lead to the influencer acting as an amplifier for your voice. This is not really so different than making new friends when you move to a new neighborhood. When you go to that first neighborhood party, you don't walk around asking everyone there to give you $20. You ruin your place in the neighborhood by doing that. Doesn't work in the neighborhood, and it doesn't work in building relationships anywhere else either. Start interacting with them. Treat it like you are developing a new friendship. When it comes to business, focus on providing value to them. If they have a question, seek to answer it. Don't spend any time telling them what value you bring, just deliver it to them. On an ongoing basis, show that you will be active in sharing their stuff to your audience. Even if your audience is much smaller, the give and take attitude will be noticed. Actively help out others. When you focus all of your attention on one person to the exclusion of others it starts to feel a bit freaky. Give value to others on a regular basis. Publish great stuff. Share other people's good stuff. Tip: if you discover great content from a little known author, the influencer you are trying to build your relationship with will be more interested than ever! As for interacting, the more personal the better. I built many of my relationships in the search industry by going to conferences and sitting in the front row when people I wanted to meet were speaking, and then being the first person up to speak to them, when the session was over. Face to face contact like that is awesome. It's also important to prioritize. Which people are worth the most effort? How do you decide? You might fly to a conference to go meet some critical person face to face. Others you might simply interact with on social media accounts. Note that it certainly is possible to build meaningful relationships with people through social media only, but nothing beats face to face. Oh right, it was me. The analytics report published on August 27, 2007. Point is, jumping on opportunities like this makes a big impression, and can really accelerate the building of a relationship. What are the chances someone will share or link? Once you have developed a relationship, you still need to do the right things to get someone to share or link to your stuff. No one is going to share everything you do, because some of the stuff you do is not that good or not that relevant (don't be offended, no one is great all the time). Relevance - if it is not relevant to them, they are not going to share it, even if it's great! - if it is not relevant to them, they are not going to share it, even if it's great! Uniqueness - Seth Godin likes to tell us to be remarkable. If what you create is not exceptional, no one is going to care, and no one is going to share. Quality Content - This goes without saying. 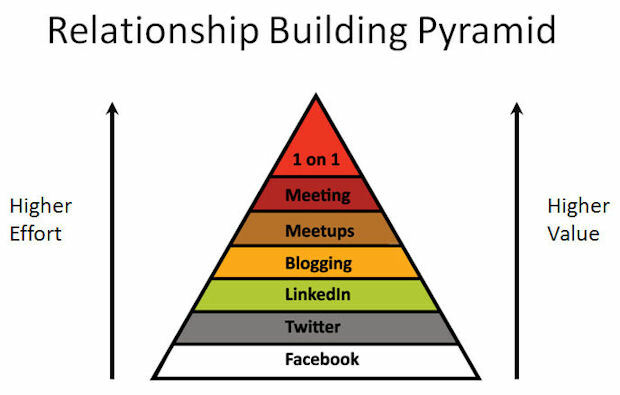 Crap content will bring crap results and no amount of relationship building will change that. Trust in the Author - This is where the relationship comes into play. 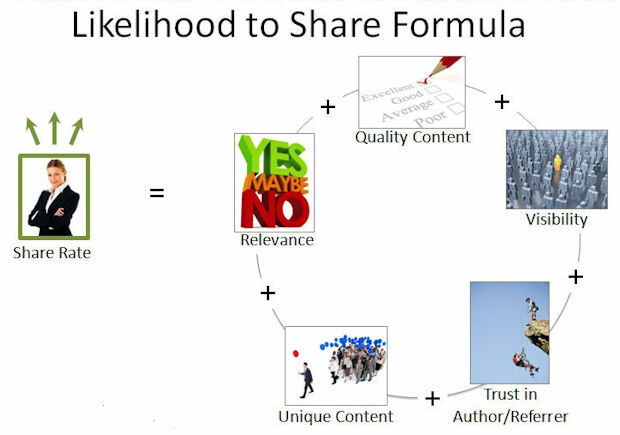 You can create great content, but if you are not yet trusted, your share rate will be far lower. 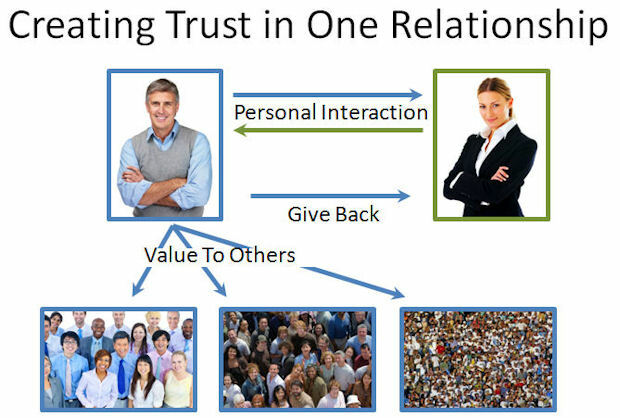 Trust in Referring Sources - How someone learns about a piece of content is a factor in the share rate as well. If an authority tells you about it, you are more likely to respond by passing it on. Visibility - People can't share what they don't see. For example, if you create a great blog post and you tweet it once, a small percentage of your followers will ever see it. Tweets are here now and gone 5 minutes later. Even the most addicted tweetaholic misses some of their tweet stream. As you can see the reach of influencers is long. 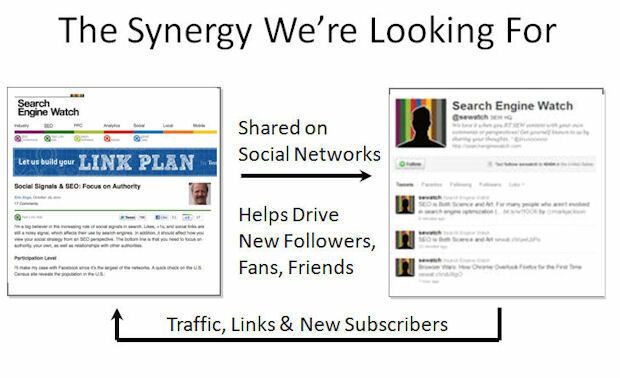 Not only can they get you links, they can give you shares that result in other people giving you links. Learning to work the very human dynamics of people on the Internet is a critical marketing activity. This is not new. It has always been valuable to build relationships with influential people. The Internet simply gives us new mechanisms for doing that. Communication and relationship building is easier than it has ever been. You can easily get started with social media or blog conversations, and that's great. Don't overlook the power of the old fashioned way though. More personal interactions still have the biggest impact. Creating fantastic content is a must, so make that a key part of your plan. Then, supplement that by building the right relationships so you can get the world to know about all the cool stuff you are doing. One last tip, add value to the audience at each step of the way. Even when you are creating content for your own blog, people are only going to share it because it helps others. Give, give, and give, and always be helping others. People will notice, and that's a good thing. For those of you who are interested in more, drop me a line at info at stonetemple.com and I will send you our white paper on identifying influencers. Eric is active on Twitter (@stonetemple) and Google+ (+Eric Enge).